The United States has a long history of terrible voter turnout. The voter turnout as a percentage of the voting age population (VAP) since 1992 has been: 58% (1992), 51% (1996), 54% (2000), 60% (2004), 62% (2008) and 57% (2012). This compares to countries like Canada, Germany and the United Kingdom which had turnouts around 70%. It is not that people are apathetic about the outcomes of elections; they just realize that their votes do not matter. In the US, presidential elections are not based on the popular vote, where every single vote counts. The outcome is awarded by electoral votes, where every state has a set number of electoral votes as roughly determined by the population in the state, in a winner-take-all formulation. Therefore, if a state is a virtual certainty of voting for a Democrat (say California) or for a Republican (like Texas), it makes no difference if any individual casts a ballot. It is therefore possible that a state like Texas can have as few voters as Minnesota, but the 55 electoral votes for Texas would still be cast for the Republican, even as Minnesota only awards its pre-determined 10 electoral votes. There is a way to get people to participate in the elections, and it does not entail making it mandatory, as is done in Australia. This proposal is to INCENTIVIZE people to vote by weighing the electoral votes by the percentage of people that vote in the state. If a state has less than half of the population casting a ballot, that state would only get 50% of the predetermined electoral votes. 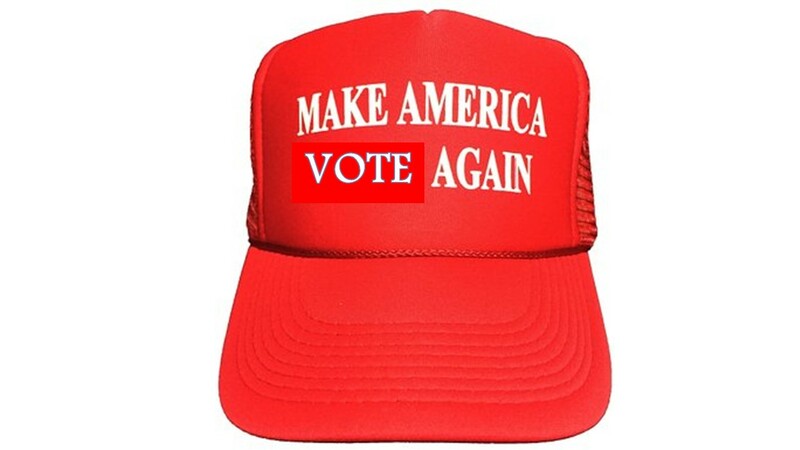 For every 2% of the VAP that participates in the election, another 10% of the electoral votes would count, up to 58% of the VAP, when 100% of the electoral votes would be counted. Consider Pennsylvania, with its 20 electoral votes. In the 2012 presidential election, it had a 57.8% VAP turnout (5,596,499 votes out of a voting age population of 9,677,000). According to this proposal, Pennsylvania would have only gotten 90% of its electoral votes, or 18 instead of the full 20. The shortfall of 16,161 voters (which would have brought it to 58%) would have netted the state 2 important electoral votes. This formulation incentivizes everyone in the state to vote, and everyone in the country to care about each state. No state would be considered “secure,” as the drive to get every American to participate in the democratic process would be critical. A great example is New York, with its 29 electoral votes, which has been a lock for almost every Democrat (as opposed to Pennsylvania which is a “swing” state). Most New Yorkers (yes, a majority) opt to go to work and skip the polls. In 2012, only 6,160,193 people voted, out of the 13,302,000 voting-aged population. Only 46.3%. That’s pathetic. This formula would have penalized the state for the poor turnout, and awarded NY only 50% of the 29 electoral votes, or 15 votes. The loss of 14 votes would have been equivalent to losing the entire states of Wisconsin and Hawaii. Americans are going out to vote today – in the somber 2016 election – when people have strong dislikes for the candidates. Many will opt to stay home because of that distaste. Let’s change the current election model, so people don’t withdraw from the democratic process itself. In December 2015, Republican presidential candidate Donald J. Trump announced his intention to impose a ban on all Muslims coming into the United States in response to various terrorist attacks done by militant radical jihadists. The question of whether such an action could be legally and practically enforced made historians look back to the treatment of Americans of Japanese descent during World War II. However, there is a better reference point for singling out a religious group, which happened 153 years ago this week. In the heat of the American Civil War, Major General Ulysses S. Grant was eager to establish military advantage. One of the ways he sought to accomplish this task was to curtail illegal smuggling of cotton and other goods out of the South which helped finance the Confederate’s war efforts. One group that Grant saw as being particularly involved in the trade was the Jews. “The Jews, as a class violating every regulation of trade established by the Treasury Department and also department orders, are hereby expelled from the Department [of the Tennessee] within twenty-four hours from the receipt of this order. As clearly spelled out, the order singled out one minority group – in its entirety – to be expelled from their homes within Grant’s territory (western Tennessee, Kentucky and Mississippi). This order continues to stand as the most anti-Semitic act by the US government to this day. Treat smugglers as individuals. While there were certainly Jewish smugglers profiting from the war, American laws require action against the people who actually commit the crime, and in some cases, people who aid and abet the illegal activity. In no situation does the law enable prosecution of an entire category of people who have no connection to the illegal activities. Prosecute all smugglers. There were many non-Jews involved in the smuggling trade. The North itself enabled the sale of cotton which it hoped would be used to finance its own war efforts while it penalized the South. Yet Grant’s orders do not punish all smugglers, but only Jewish one’s together with co-religionists, reeked of anti-Semitism and illogic. Non-violence, nor calls for violence. None of the smugglers committed any violent acts against other Americans. While Grant argued that the smuggling itself helped fund the Confederacy, neither Jews as individuals, nor any Jewish group overall called for harming the Union. 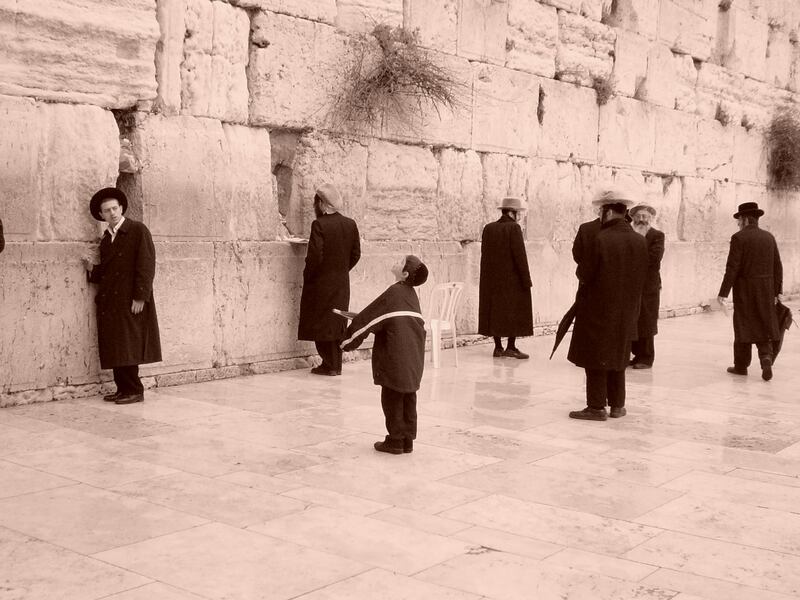 All of the smugglers – Jews and non-Jews alike – were simply seeking a profit. Jews were serving in the Union Army. There were roughly eight thousand Jews serving in the Union army, including nine generals. The broad edict by Grant would have forced his own soldiers to be expelled from the region. Which has a similar ring to some calls against Muslims in America today. 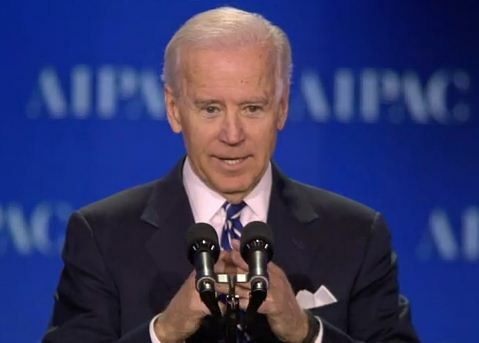 On December 8, 2015, the Wall Street Journal led with an editorial “The Obama-Trump Dialectic” which blamed the rise of Donald J. Trump’s illiberal suggestions of how to treat Muslims on the failures of Obama to confront militant radical jihadists. The Obama failures regarding calling out and responding to radical Islam are plentiful, but beyond the scope of this article. The question is Trump’s desire to treat “an entire religious class” (to use the Lincoln-Grant phraseology) as a single unit. Each of Trump’s ideas treats all Muslims as a distinct minority subject to rules that do not apply to any other people. The distinction is based on religion, as was the case for Jews in 1862, which was objectionable to President Lincoln. Regarding Muslim immigration, Obama’s failures to call out Islamic terrorism is magnified by his refusal to take a strong stand on border control, according to Republicans and the WSJ. Trump said that the ban would only be temporary until the government better understands the situation. As detailed in “A Logical Approach to Immigration from Personal History,” there is a successful history of the US processing immigrants fleeing persecution to make sure that proper vetting takes place. It would NOT ban all Muslims, but instead require them to first be situated out of harm’s way in a displaced person’s camp, say in Jordan, at which point vetting would occur. Women and children would be permitted into the US first, followed by men at some point in the future. Most significantly, not every situation is the same. Muslims in Myanmar are different than Sunnis and Shiites from the Middle East. Each may or may not have valid reasons to seek asylum in the USA. Trump’s call for an edict against “Muslims as a class” regarding immigration recalls Grant’s comment during wartime that “nice distinctions were disregarded. We had no time to handle things with kid gloves.” But today, there is time to manage a logical vetting process – which is more robust than put forward by President Obama. 2. Muslim Citizens. While non-American Muslims are not afforded protection of US laws (but only those that relate to immigration policies), American Muslims are full citizens with full rights and protections. They account for 0.9% of the US population. While some may have committed terrorist acts, the vast majority have not. Further, there is no indication that there is a widespread plot to harm America or American interests. Like the Jews in 1862, there is no basis of treating all co-religionists as a single “class,” while the treatment of the Jews was punitive, and the Trump suggestion for Muslims would just be placing the group under surveillance. The US government just ended its vast metadata collection program. That database was on all Americans that helped to track connections between potential terrorists. 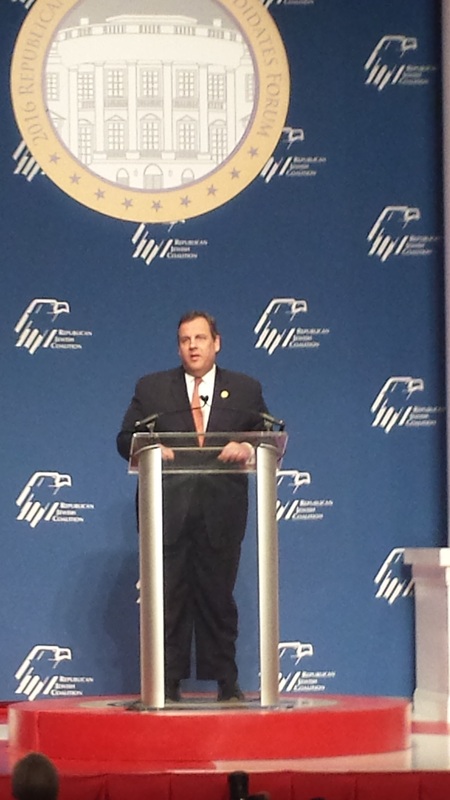 Republican presidential candidate Chris Christie stated that ending that program was a big mistake, as using data collection and analytical tools helped locate would-be terrorists and keeps Americans safe. A new modified approach of data collection in which people who make calls to, or visit war zones, such as Iraq and Syria, would be tracked may be an appropriate next step. That would be more logical and fair and not treat all Muslims “as a class” simply for their religious beliefs, but based on actions. An action-based monitoring system and database would capture information on Muslims and non-Muslims alike. On December 10, 2015, the liberal newspaper The New York Times led with an editorial “The Trump Effect, and How it Spreads” which blamed the entire Republican party as being a bunch of racists. As opposed to the Wall Street Journal editorial two days prior, it did not place any blame for the popularity of Trump’s positions on the many failures of the Obama administration. While liberals and conservatives would both agree that a government’s primary concern is for the safety of its citizens, it does so within the framework of laws. America has laws requiring the separation of church-and-state and also does not have a class-based entrenched society. The foundation documents of the country are that “all men are created equal“, and they should be treated equally under the law. General Grant made an anti-Semitic order during the Civil War, but society was fortunate to have Abraham Lincoln who realized the deep inherent flaw of punishing an entire group of people. In the middle of that episode, Lincoln made the Emancipation Proclamation on January 1, 1863, which freed the slaves. Lincoln understood that if all men are to be equal, it must include every minority – blacks or Jews. 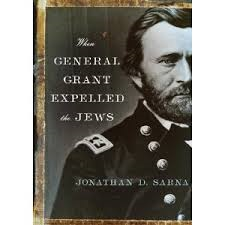 General Grant had Lincoln to keep his anti-Semitic edict in check, and Grant ultimately proved to be a good friend of the Jews. His Order No. 11 was issued in the fervent hope of winning the war and protecting the Union. Donald Trump has no power today so his words can best be kept in check by public voices, and ultimately the public vote. Both Republicans and Democrats have spoken out against his suggestions as being un-American. Indeed they are. However, just as Grant was acting out of the interest of protecting America (with a very bad idea), it did not mark him as a permanent anti-Semite. It is similarly possible that a President Trump would place many Muslims on his cabinet. Trump’s calls to treat Muslims “as a class” is wrong and racist. However, it does not mean that he will ultimately harbor anti-Muslim animus, just as Grant reformed in a time of peace. The NY Times suggestion that all of the Republican candidates are racists is as narrow-minded and bigoted as Trump’s declaration. However, it is more unlikely that the Times changes its biased viewpoints, than Trump modifying his. Summary: The “Western World” rallies within its own borders when terrorism strikes, but ignores Jihadist radicals operating in the “Old World.” As it does so, it risks forgetting that neither values nor barbarism has borders. The “cradle of civilization” is generally described as the location from where human beings emerged. Archeological evidence pins earliest humanoids in the region around Ethiopia, while biblical scholars point to modern day Iraq. The crescent between those regions is viewed as the birthplace of humankind. Mankind slowly spread from its cradle to populate Europe, Asia and the rest of Africa. This held true (with few exceptions) until the late 1400s. 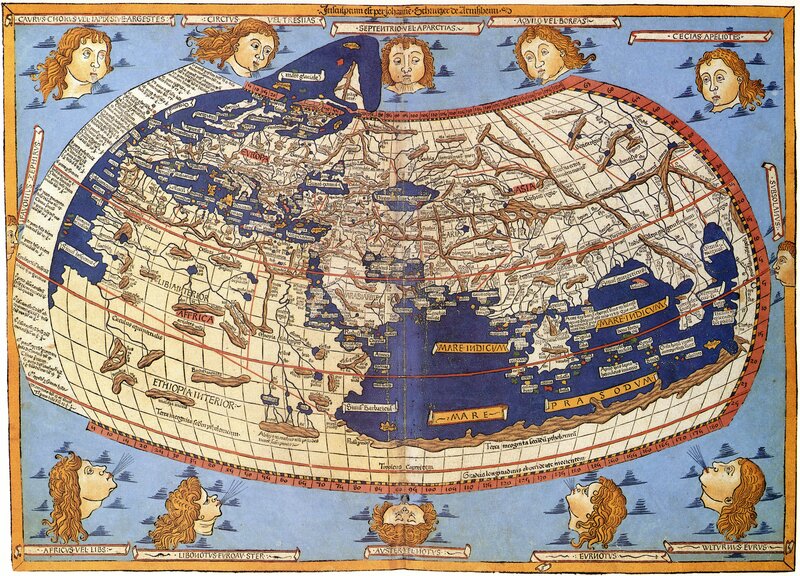 Mapmakers of the 1470s and 1480s portrayed the known world in just those few continents, kept in check by various “winds.” It was the Columbus journey of 1492 that began the next expansion of civilization into North and South Americas, and then Australia in the early 1600s. And so it is with much of the New World and Western Europe. While the Europeans established the Americas and Australia/ New Zealand centuries ago, those new lands still feel a unique warmth and connection to the European continent separated by oceans and thousands of miles. Over the centuries, the New World took in new immigrants from around the “Old World.” Africans were shipped against their will as slaves for the former Western European colonies, while people from Eastern Europe and Asia came on their own more recently. The New World still prefers the close connections to their old motherlands in Western Europe. Western Europe was hit with several terrorist attacks after the United States was attacked on September 11, 2001. Those attacks included: Madrid (2004); London (2005); Belgium (2014); an two attacks in France in 2015. The reactions to attacks in Europe were noticeably different than reactions to terrorism in the MENA (Middle East and North Africa) region over this time period. There were no such broad declarations about “an attack on all of humanity… and universal values” when it came to terrorism in MENA. Politicians were not alone in this world view. The world uniquely lit up Facebook with the flag of France after terrorist attacks. The terrorist slaughters in Nigeria, Kenya and Israel by jihadists over the same weeks barely passed people’s minds or hurt their hearts. The New World looked back on the Old with disgust and disdain: those are uncivilized barbaric lands. Terrorism emerges from there. Terrorism is expected there. So Obama, himself the son of a man from Kenya, drew borders around the civilized world. It’s physical limit seemed to take him to Turkey, a member of NATO that sits on the edge of wars in Syria and Iraq. The edge of “civilization” touched the cradle of civilization. “Terrorism is the deliberate and systematic targeting of civilians. It can never be justified. Terrorism must always be condemned. It must always be fought. Innocent people in Paris, like those in London, Madrid, Mumbai, Buenos Aires and Jerusalem, are the victims of militant Islamic terrorism, not its cause. As I’ve said for many years, militant Islamic terrorism attacks our societies because it wants to destroy our civilization and our values. Indeed, Israel is the most liberal country in the entire Middle East and Africa. It’s values are closely aligned with Western Values. Yet despite Obama’s address on values, the West could not look beyond its contours of civilization. 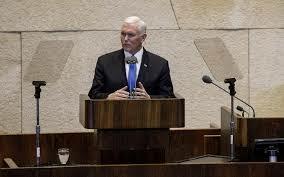 Unwilling to reframe its own narrative, the western world has opted to ignore the Israeli liberal society, and cast it as part of that dark side of humanity. Should the West continue to ignore the liberal society in the Middle East, it can never expect to realize a different future for the entire region. The warring parties in Terra Barbarus will continue to battle each other, and occasionally reach out and damage the New World like a solar flare. So far, the New World reacts by alternatively bombing and ignoring the barbarians. To realize a future world with universal values, the world must recognize the blue-and-white flower that has re-emerged in the arid soil in the cradle of civilization. Just as the West promises to fight barbarism that appears on its shores, it must nurture the “humanity” that exists everywhere. Condemning terrorism was just part of Obama’s speech. Elevating those people that share western values must be part of the battle. Sacha Baron Cohen, a comedian from the United Kingdom, developed some fascinating characters as part of his comedic routine. One of them was Borat, a tall, awkward man who hailed from Kazakhstan. Cohen used Borat as a tool on unsuspecting Americans to elicit responses which may be funny or frightful in his movie, “Borat: Cultural Learnings of America for Make Benefit Glorious Nation of Kazakhstan.” Cohen counter-balanced Borat’s large 6’3″ frame with a friendly, simple and naïve demeanor, such that ordinary people responded to him in a more open manner than they would have for another large adult male stranger. Once within their sphere of hospitality, he engaged people in various outrageous actions. Cohen captured those bizarre interactions for the public to witness. Borat was introduced as a foreigner, unfamiliar with the social norms of the USA. As people interacted with him, they quickly saw evidence of his primitive, racist, homophobic, misogynistic and anti-Semitic side. For example, when he attended a dinner party in the South, his lack of etiquette was so extreme he did not know how to use the bathroom. As the American hosts viewed themselves as extremely enlightened, they excused his outrageous behavior. The comedy of Baron Cohen/Borat was specifically about revealing people in such awkward and “dark” moments. Another scene from the movie placed Borat in a cowboy bar in Tucson, Arizona. Borat was invited to sing a song from his home country to the crowd. 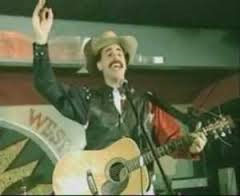 The audience of men and women were at first unsure of this foreigner in a cowboy hat, as he started his song “In my Country there is a Problem.” It was clear from the first verse that Borat could not really sing, play the guitar or rhyme. But the crowd wanted to be hospitable and welcomed this stranger who was trying to fit in. By the second verse, the song became rabidly anti-Semitic. Jews were blamed for taking everyone’s money and causing problems in his country. 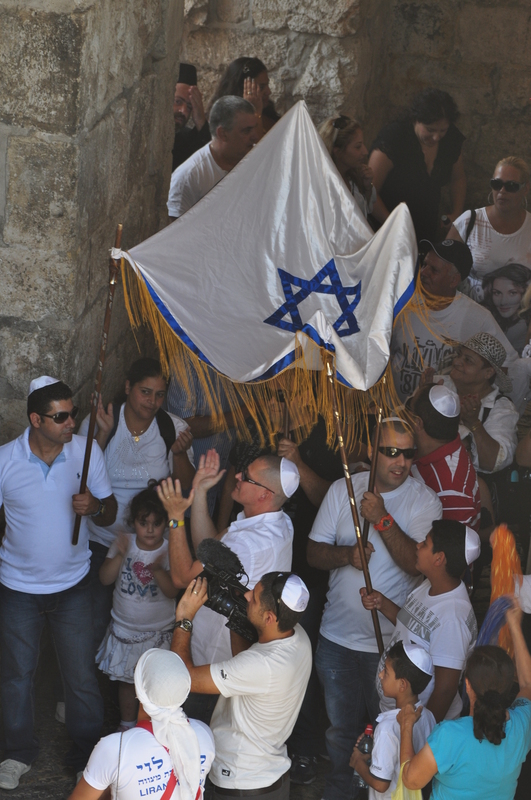 Imagery of Jews being wild animals with claws, gnashing teeth and horns were sung aloud, and the crowd joined in louder with each verse. The women – much more than the men – loudly clapped and sung along to the anti-Semitic verses with free abandon. One would imagine a scene from the Hofbrahaus in Munich 1920 more than Tucson 2006. Sacha Baron Cohen is himself a Jew who is likely not an anti-Semite nor a racist nor a homophobe. He used the Borat character to force people to confront their own biases in unconventional ways. 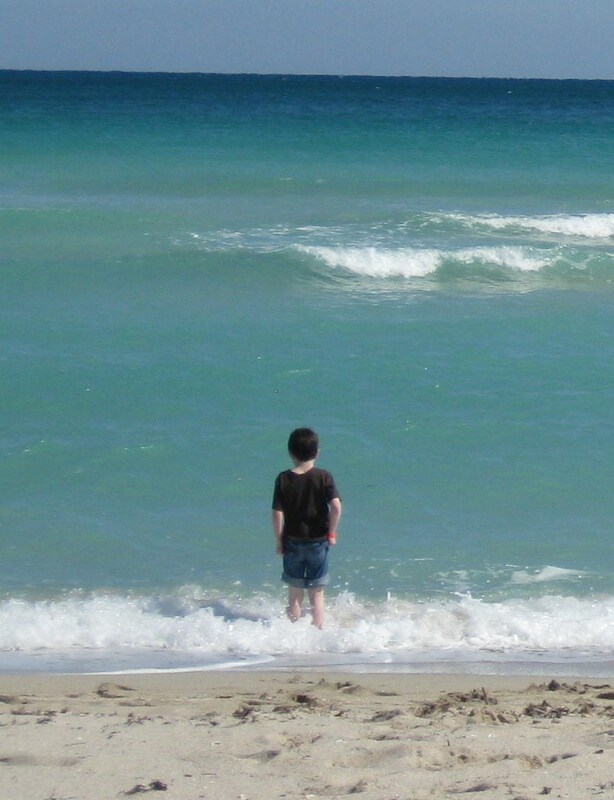 His use of a big fish-out-of-water persona made people want to embrace this gentle giant. The American-way of hospitality placed people in a situation where they were closely engaged with little room to maneuver. They were left with a choice of either being astonished and sickened (as were the southerners at the dinner party) or engaged, as were the anti-Semites in the Tucson cowboy bar. However, the Southerners took the effort to correct Borat, while the cowboys embraced his foul behavior and language. The New York Times has long looked on the Arab world with sympathetic eyes. Whether in advocacy for Arabs in urging the Obama administration to welcome thousands of Arab refugees, and pushing for building of a mosque at ground zero, or in ignoring Arab crimes through the use of double standards for people from a “primitive” culture, the NYT embraced the Arab world. Like Borat, Arabs are from a different culture and unfamiliar with America’s progressive ways. As enlightened people, the writers for the Times have sought to engage and embrace these people. 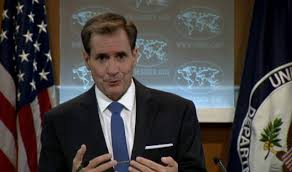 For example, Saudi Arabia is rarely called out as one of the most repressive regime in the world which decapitates minors in the streets; it is just an American ally. Abbas’s inability to govern the Palestinian Authority territories is never blamed on his ineffectual leadership. The Times rarely mentions that Abbas is so unpopular among Palestinians that he would have lost any election since 2007 according to every poll (if he ever had the ability to have an election). The Times opted to not take a constructive approach like the Southern lady who taught Borat how to use the bathroom. It never sought to educate its readers about the misstatements and outright lies of the Palestinian Arabs. Instead, the Times just ignored that Abbas or the Palestinians were incompetent or said and did anything wrong. However, on October 8, 2015, the Times decided to move past being deaf and joined the Palestinians’ anti-Semitic chants. 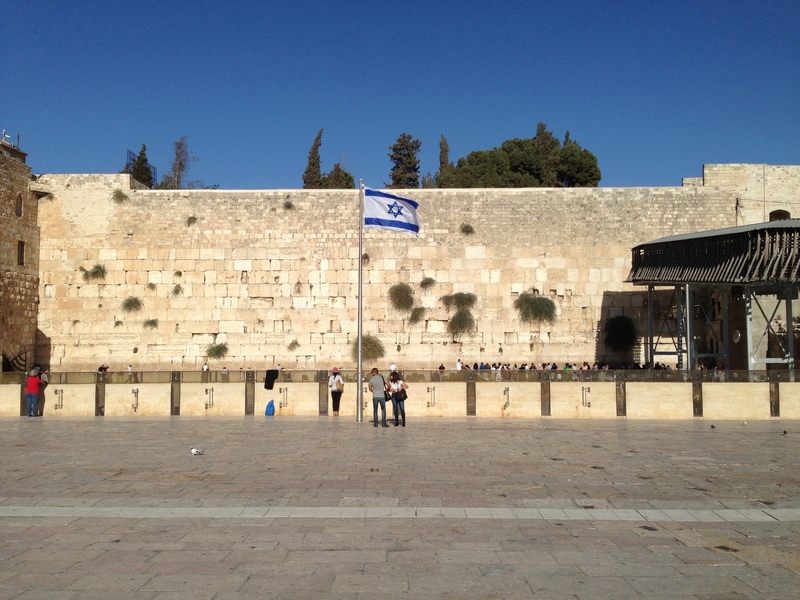 In an article entitled “Historical Certainty Proves Elusive at Jerusalem’s Holiest Place” Rick Gladstone wrote that there is little evidence that Jewish Temples existed on the Temple Mount. 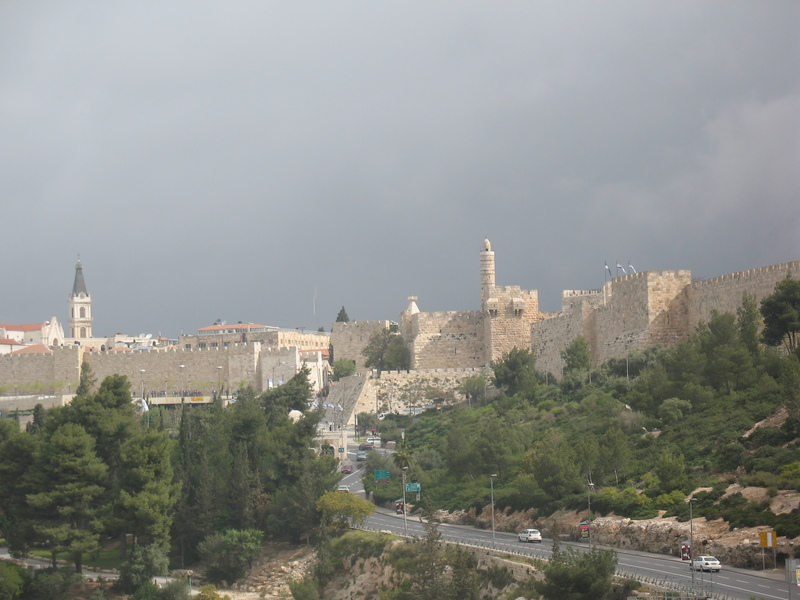 As if echoing the Palestinian Arab and Jordanian Arab narrative that Jews have no history in Israel or Jerusalem, that they are trying to “Judaize” the city and “falsify history,” the Times wrote a piece that completely misrepresented archaeological findings. Indeed, the only religion that has archaeological proof of being on the Temple Mount is Judaism (there are no structures to show where Jesus walked or Mohammed’s night journey). so my country can be free! Now that the Times has more openly embraced its anti-Semitic Borat persona, perhaps we will soon see articles that Jews are really from Khazar and have no connection to the bible at all. The United States has always been a country of immigrants. During the late 1800s through the market crash of 1929, ten percent of the country moved to the country every decade. After the Great Depression, immigration slowed to a trickle. It has grown to about 3.5% of the population per decade today. Consider that the US grants more citizenship each decade than the entire populations of most countries. The main changes to the immigrant population have been the source countries (now Asia and Latin America rather than Europe and Russia) and the greater number of illegal immigrants that are also coming to the US. Over 80% of today’s illegal immigrants come from Mexico and Latin America.